Stop Wife Having Affair With Power Prayers. The first step towards stopping a wife having affair through prayers is to know the cause of her cheating on her husband. The main cause of all marital infidelity is spiritual, that is to say majority of cheaters will cheat no matter what their spouse do to please them. This is also why the way to stop your wife having affair is not by doing one thing or the other. Most cheating is spiritual, so it is only targeted prayers that win this spiritual oppression and release the wife from the grip of the spirits of lust and adultery. Targeted scriptural-based prayers provide answers to the manipulation or influence of these unclean spirits. That’s why all human, physical, ‘solutions’ like confrontation, arguments, silent treatment, reasoning or revenge do not work. At best they produce very temporary relief. The unclean spirits behind the wife having affair use some common arguments and reasoning to take wives into unfaithfulness. Let’s see some of these reasons for wives who cheat. The husband doesn’t show love and affection, so she gets it out there. The husband doesn’t or wouldn’t provide for her. 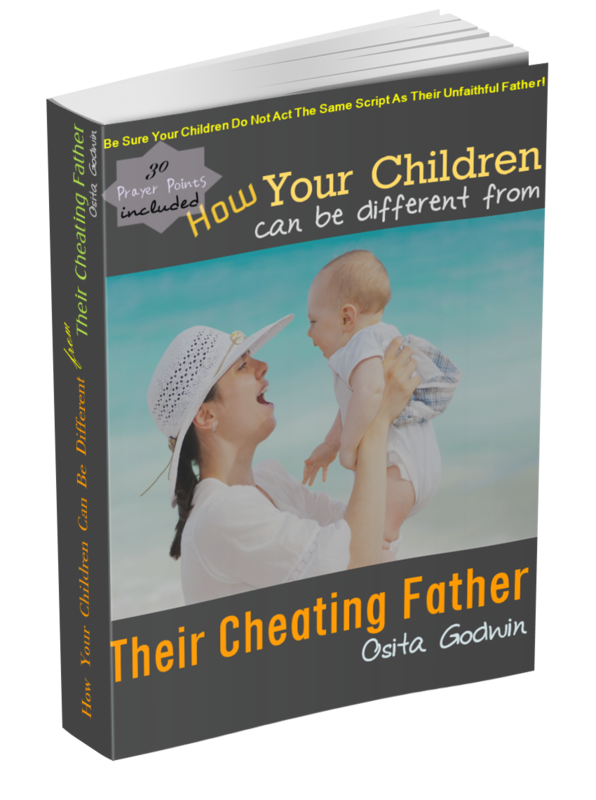 The husband doesn’t know how, or is reluctant, to satisfy her sexual need. She couldn’t deal with memories and the temptation from her ex. Her husband is ill and she’s feeling like her best time is passing her by. Her husband is cheating too, so two can play the game. Her husband is not against wife having affair, he even conceived an open relationship. Targeted praying has been highly powerful in dislodging spirits of lust, breaking unholy soul ties and bringing back the unfaithful spouse. This process has been repeated in several cases and the result turned out excellent. The simple truth is that when Christians pray the mind of God, they receive their desires. 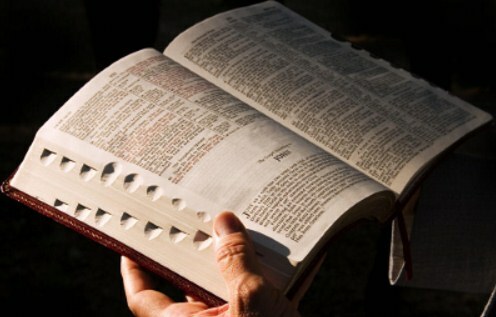 The easiest way to the mind of God concerning the situation is to read it from the Bible. If we find it and pray it consistently, believing, divine power will penetrate the wife having affair (as light shining in darkness John 1:5), and the spirits would lose their grip on her, so that she becomes faithful to her husband again. Before You Start The Prayers That Stop Wife Having Affair. 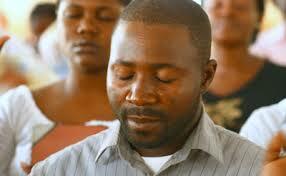 To pray back any wife cheating on her husband, the husband would be willing to forgive even before she asks for it. 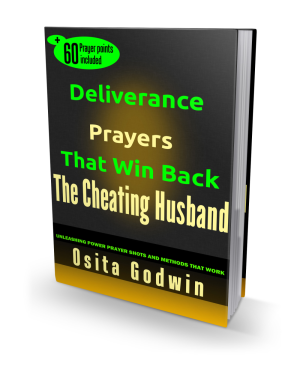 A husband who is unforgiving may have a tough time praying back his wife. I’m going to give you two prayers here (the two should be prayed together each time). The effect would be on the husband and on the wife having affair. I want you to conduct these prayers with all fervency. First read the scriptures (Bible quotations below the prayers). I advise you read the entire chapter but meditate on the specified verse. Then pray these prayers. When you speak the Word (mind of God) in prayer, it is God speaking! There is power coming out of your mouth to hit any evil stronghold no matter against your destiny. Lord teach me wisdom on what to say and do with my wife to win her back. Remove from me the spirit of bitterness, malice, argument and rancor. Grant me patience, love, maturity and forgiveness in dealing with my wife. Lord, bless me with divine strength so as not to faint or be discouraged in seeking the healing of my marriage. I plead the Blood of Jesus over her as I command her spirit and mind to be healed of every affliction of the enemy and be cleansed from every strange and unrighteous and lustful desire.